This research continues my exploration on understanding material representations of physical activity to enrich the experience of being physically active. I previously investigated the use of 3D printed plastic artifacts to represent physical activity through the system: SweatAtoms. 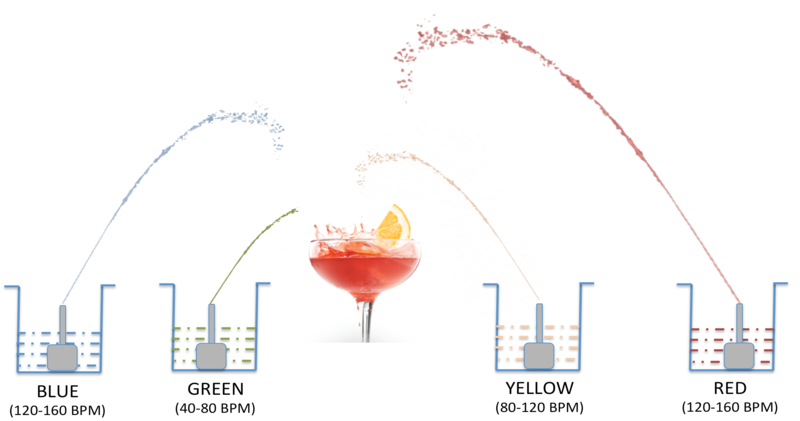 Extending this, I now explore editable material representations of physical activity using an interactive fluidic installation that creates a personalized energy drink. I describe a prototype system called TastyBeats where one or two participants engage themselves in a fluidic spectacle of creating an energy drink that matches their heartbeats. This work expands the view of visualizing physical activity beyond virtual screen by providing a real-time and interactive visualization of heart beat data. The TastyBeats induces an active engagement of the player with representation of personal heartbeat in the form of a energy drink created by mixing different flavors together. TastyBeats from Rohit Ashok Khot on Vimeo.